Air Mirror App can wirelessly mirror your iPhone/iPad screen to your Xbox via your network. 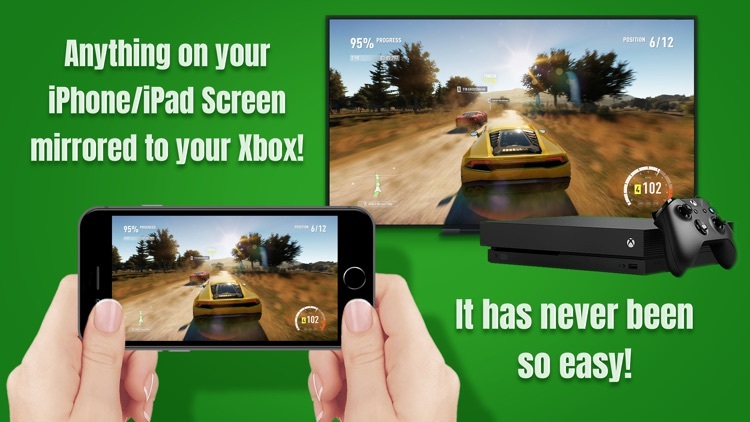 Just follow the user's guide below to complete the setup and your iPhone/iPad screen will appear instantly on your Xbox! 1. To launch the Xbox Store on your Xbox, please go to My Games & Apps > Apps > Find more in the Xbox Store. Search for “Media Player” and install the Media Player app. 2. 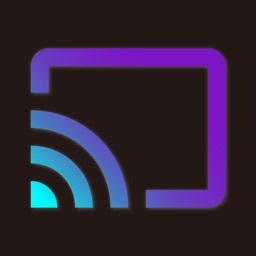 Search for “Movies & TV” and install the Movies & TV app, then run the app. 2. For iPhone: please turn on "Access Within Apps", then tap "Customize Controls". For iPad: please tap "Customize Controls". 1. 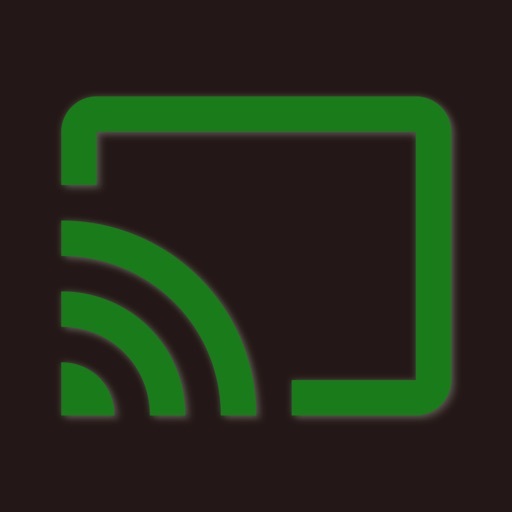 Make sure your iPhone/iPad and your Xbox are connected to the same WiFi network. 2. On iPhone X, swipe down from the upper-right corner of the screen to open "Control Center". 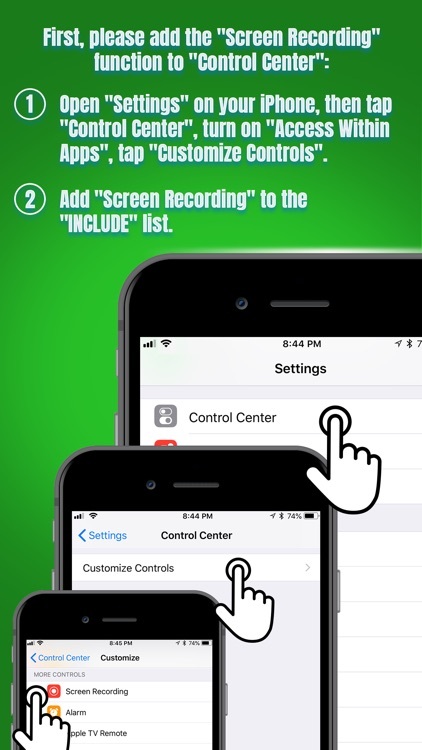 On iPhone/iPad, swipe up from the bottom edge of the screen to open "Control Center". 4. 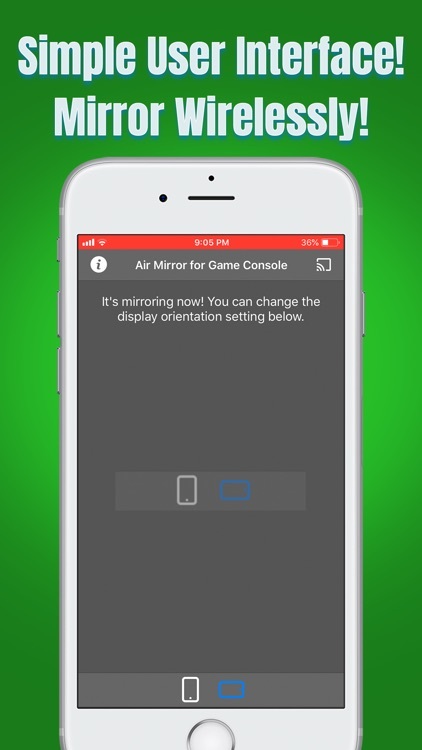 Scroll up/down to look for the app "Air Mirror for Game Console" on the list, then select it and tap "Start Broadcast". 5. Open the app, and tap the "Connect" button in the top right corner. It will scan your network. Once your Xbox is found, please select it from the list to start mirroring! 1. Open the "Control Center" on your iPhone/iPad, tap the flashing Red button once. 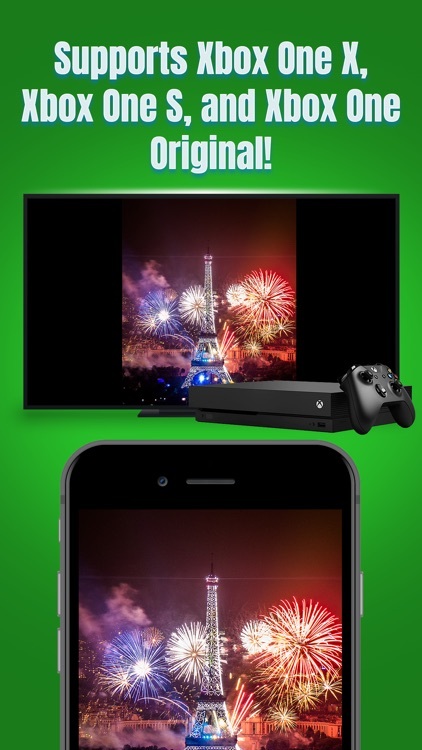 • Mirror anything and any app on your iPhone/iPad screen to your Xbox in high quality. • Supports Xbox One X, Xbox One S, and Xbox One (Original). NOTE: "Xbox", "Xbox One", "Xbox One S" and "Xbox One X" are registered trademarks of Microsoft Corporation. This application is developed, owned and maintained by a third party that has no affiliation with or endorsement from Microsoft Corporation.